Renovation of a Gold Coast high rise condominium unit including complete demolition of 1960’s era efficiency kitchen and new layout to modernize the apartment with an open, spacious design. 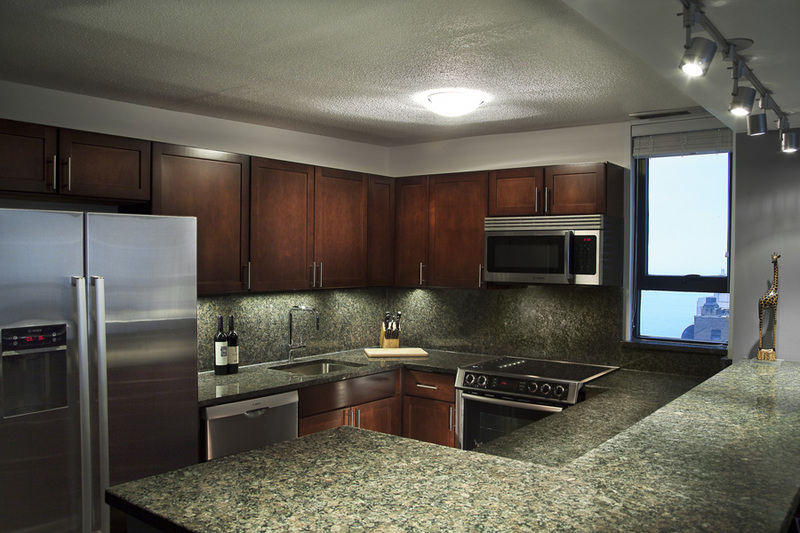 The owner can now entertain in their condo comfortably with wet bar, new lighting and better traffic flow. This unit went from having a cramped, walled in kitchen with room for one to a modern, functional kitchen with room for guest to mingle or sit at the 5 person bar.